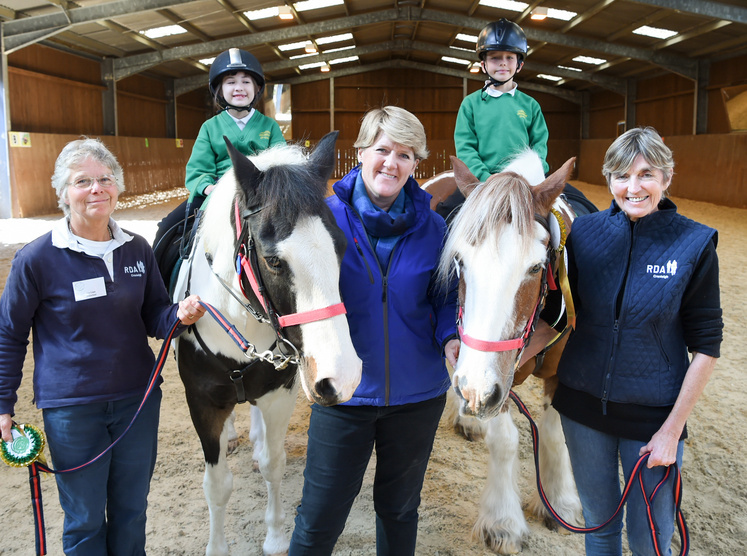 Broadcaster, journalist, author and equestrian national treasure Clare Balding OBE, opened the newly refurbished Cranleigh Riding for the Disabled (CRDA) facility on Monday 1st October 2018. The Riding High Campaign, the fundraising arm of Cranleigh RDA, successfully raised in excess of £750,000 to totally remodel and refurbish the stables and facilities. Generous contributions came from charitable trusts - including £150,000 from the London Marathon Charitable Trust - local charities, local benefactors and individual fundraisers, all of whom recognise the benefits of riding for those with special needs. Amongst many generous donors, two local organisations, the Godalming Woolsack Rotary and the County Club Guildford supported the Riding High Campaign with fund raising events.